This main branch needed some modifications of the interiors. The project included a build-out of the main lobby, reception area, individual office work areas and demolition and construction of the President’s office. Construction included new finishes, ceilings and walls and new wood floors. 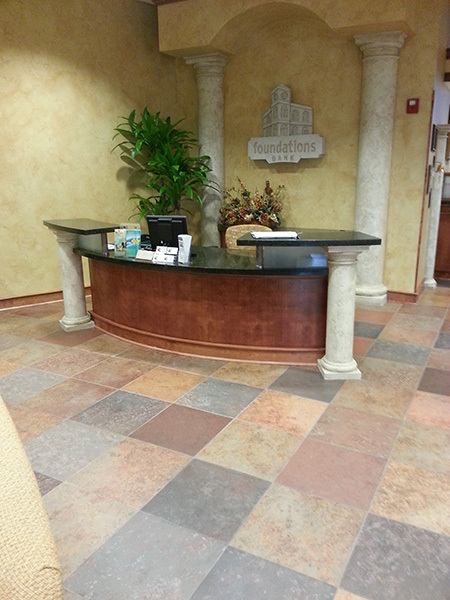 Millwork and columns were removed to create space for new break out rooms. New glass, glazing and trim helped to finish the space.